Her future is on track to be pretty amazing. She loves track. Senior pictures for runners. This De Forest high school senior loves track and field, cross country and anything running. 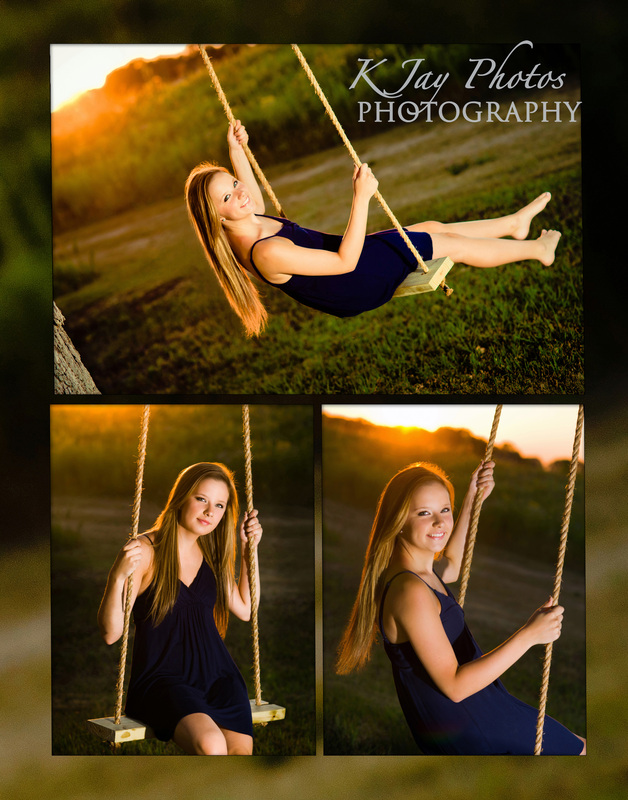 We enjoyed capturing her passion in her senior pictures. Portraits she will cherish for years to come. Do not forget your props and let us know in advance what makes you pretty amazing so we can incorporate it into your senior portrait session by K Jay Photos Photography, a Madison WI Photographer specializing in high school senior portraits. 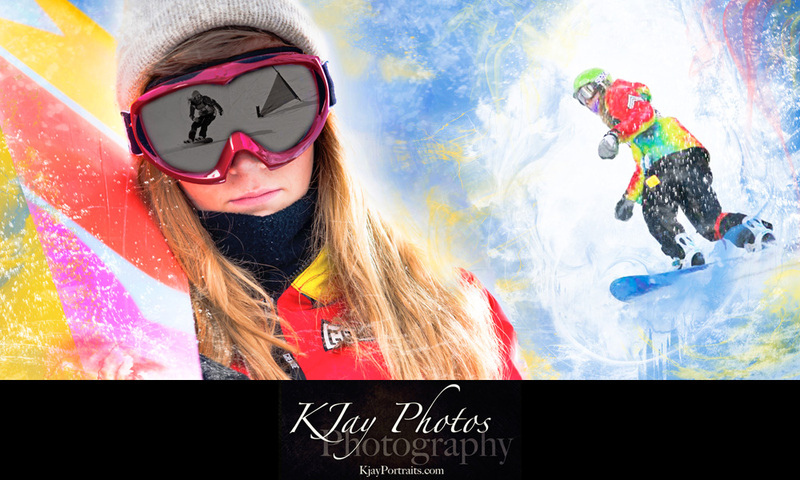 February 27, 2016 | Categories: Artistic Senior Pictures, Award Winning Madison WI Photography, De Forest WI Photographer, DeForest Photography, DeForest WI Photographer, High School Senior Pictures, K Jay, K Jay Photos, KJ Photography, KJ Photos, KJAY Photos, Madison Photographers, Madison Wi Photographers Senior PIctures, Sports Pictures Senior Photos, Waunakee Photographer, waunakee photography | Comments Off on Her future is on track to be pretty amazing. 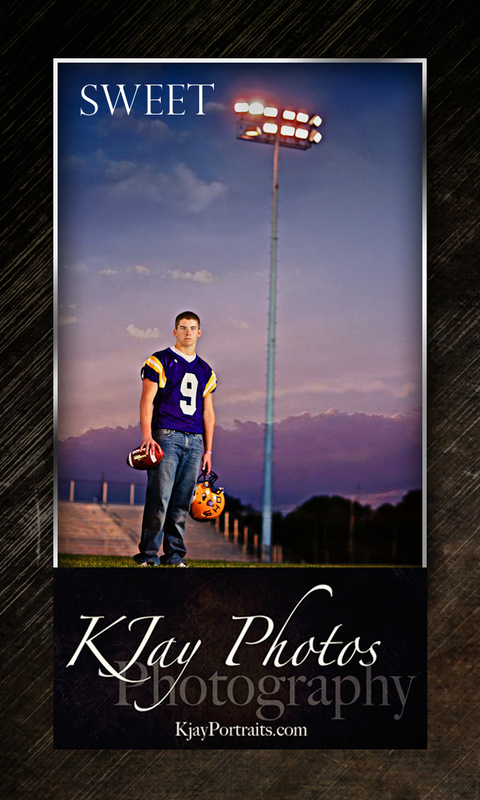 Senior Pictures #Hunter. Madison WI Photographer, K Jay Photos Photography. 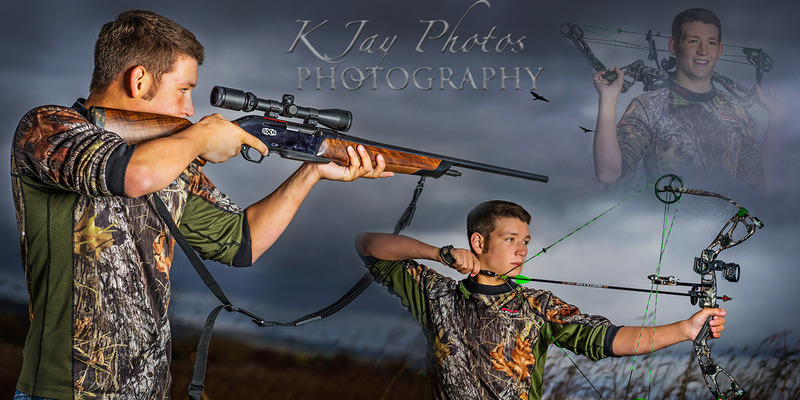 He brought his hunting gear to his senior portrait session so we captured this high school senior’s passion for hunting in his senior pictures. April 18, 2014 | Categories: Artist Senior Pictures, Artistic Senior Pictures, Award Winning Madison WI Photography, DeForest Photography, Graduation Pictures, High School Senior Pictures, High School Seniors Portraits, Lodi WI photographer, Madison Photographers, Madison WI Photographer, Madison Wi Photographers Senior PIctures, Madison Wisconsin Photography, Middleton Photographer Newborn Pictures, Middleton WI Photography Studio, Monona WI Photographer, Monona Wisconsin Photography studio, Photographer in Waunakee, Senior Pictures Monona WI Studio, Senior pictures photographer Madison WI, Sports Pictures Senior Photos, Sun Prairie WI Photographer, Sun Prairie WI Photography, Verona Photographer, Verona WI Photography, Waunakee Photographer, waunakee photography, Waunakee Portraits, Waunakee Studio | Tags: Bow, Hunter Senior Pictures, hunting, K Jay Photos Photography, Rifle, Sun Prairie High School Senior Pictures | Comments Off on Senior Pictures #Hunter. Madison WI Photographer, K Jay Photos Photography. Photographing this high school senior was a ball. Madison WI Photographer. 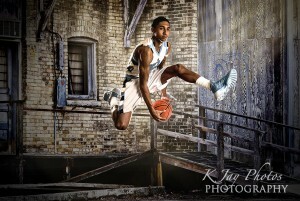 He is an athlete and his love for basketball was showcased during his high school senior portrait session. 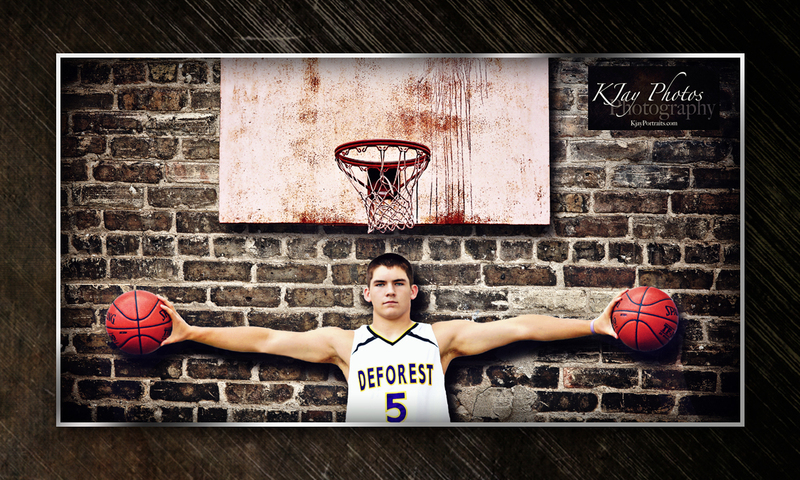 This Baraboo, WI high school senior came to K Jay Photos Photography late in the season during the winter months. Of course we couldn’t photograph him outside in the snow, or maybe but we didn’t, so we created a sports composite for him. Photographing him inside the studio and then placing his indoor action shot into a K Jay Photos Photography picture taken years ago of a cool urban setting. We think it turned out pretty cool. Would you agree? 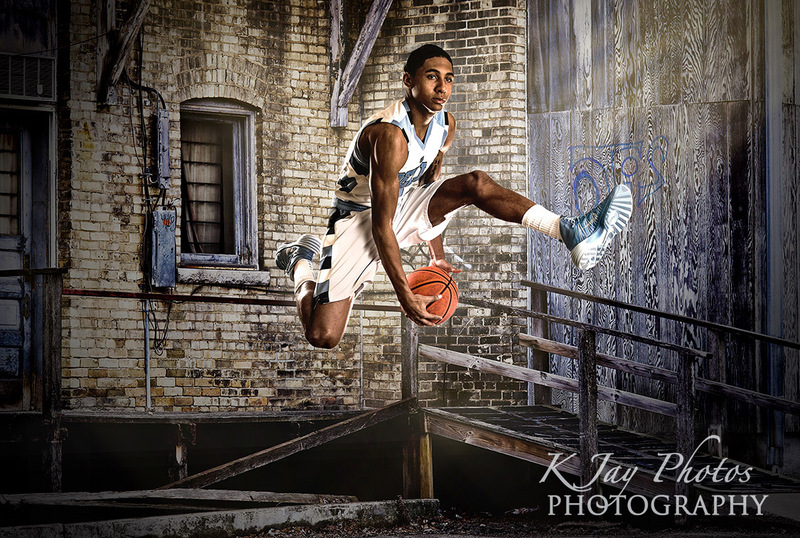 To reserve your basketball high school senior portrait session today call 60-8850-4850 or email kim@kjayphotos.com. Hurry spots fill up quickly during the summer months and don’t forget the basketball. March 28, 2014 | Categories: Artistic Senior Pictures, Award Winning Madison WI Photography, Basketball Senior PIctures, DeForest Photography, DeForest WI Photographer, Graduation Pictures, High School Senior Pictures, High School Seniors Portraits, Lodi WI photographer, Madison Photographers, Madison WI Photographer, Madison Wi Photographers Senior PIctures, Madison Wisconsin Photography, Middleton WI Photographer for Senior Portraits, Monona Wisconsin Photography studio, Photographer in Waunakee, Photography Studio in Waunakee, Senior Pictures Monona WI Studio, Senior pictures photographer Madison WI, Sports Pictures Senior Photos, Sun Prairie WI Photographer, Sun Prairie WI Photography, Verona Photographer, Verona WI Photography, Waunakee Photographer, waunakee photography, Waunakee Portraits, Waunakee Studio | Comments Off on Photographing this high school senior was a ball. Madison WI Photographer. What to expect during your senior portrait session. 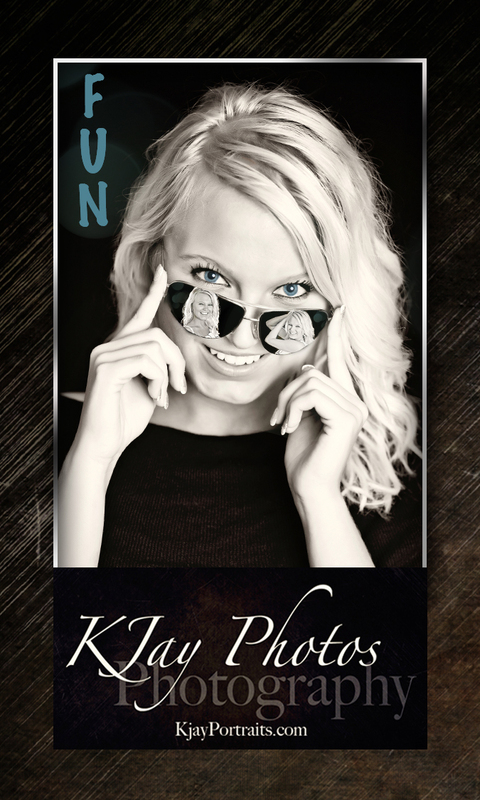 Once you have reserve your high school senior portrait session with K Jay Photos, we will send to you a Welcome Packet. This packet has a lot of helpful information about what to expect during your senior portrait session, what we suggest you bring, tips and suggestions on just about everything we could think of. Have not reserved your session yet, there is still time… but sessions are filling up fast. Please let us know if you have any additional questions after you have received it or call K Jay Photos at 608-850-4850 or email kim@kjayphotos.com. April 9, 2013 | Categories: Award Winning Madison WI Photography, DeForest Photography, DeForest WI Photographer, High School Seniors Portraits, Madison Photographers, Madison WI Photographer, Madison Wi Photographers Senior PIctures, Madison Wisconsin Photography, Middleton WI Photographer for Senior Portraits, Monona WI Photographer, Monona Wisconsin Photography studio, Photographer in Waunakee, Photography Studio in Waunakee, Senior Pictures Monona WI Studio, Senior portraits swimming Verona, Sports Pictures Senior Photos, Verona Photographer, Verona WI Photography, Waunakee Photographer, waunakee photography, Waunakee Studio | Comments Off on What to expect during your senior portrait session. Sports Composites are in high demand. Watch for more examples to show up in our Sports Composite Gallery soon as we have some cool ideas to showcase this year. 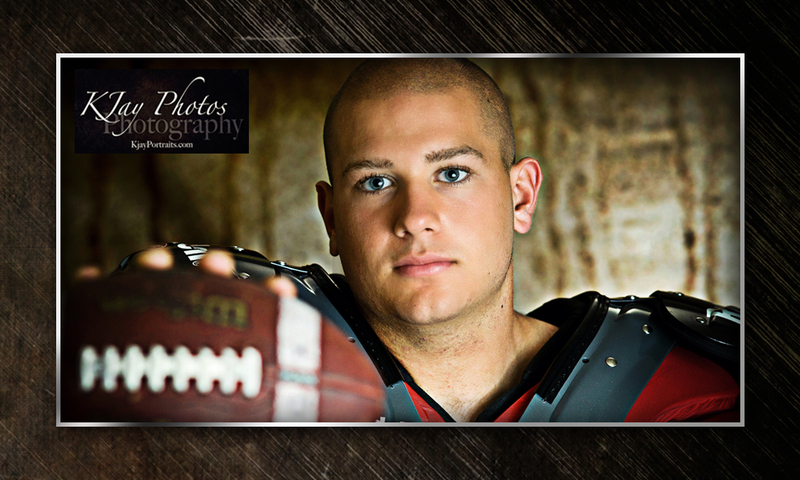 To read more about our High School Senior Sports Composites visit here. You can tell by the passion in his eyes when looking at the basketball. So many memories that he has had on the basketball court during his youth made it important to capture several senior pictures with the basketball on and off the court! 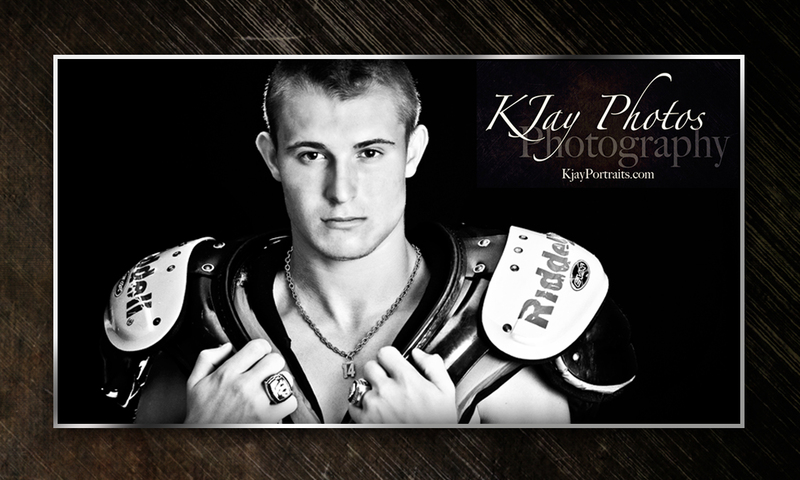 KJay Photos, Photography in Madison WI, loves senior pictures. Passionate about senior portraits and passionate about you. Tell us your passions from little on and we will try to capture them in your senior pictures for you to cherish a lifetime. www.madisonseniorportraits.com a website we built just for high school senior portraits. Tips, package information and more. 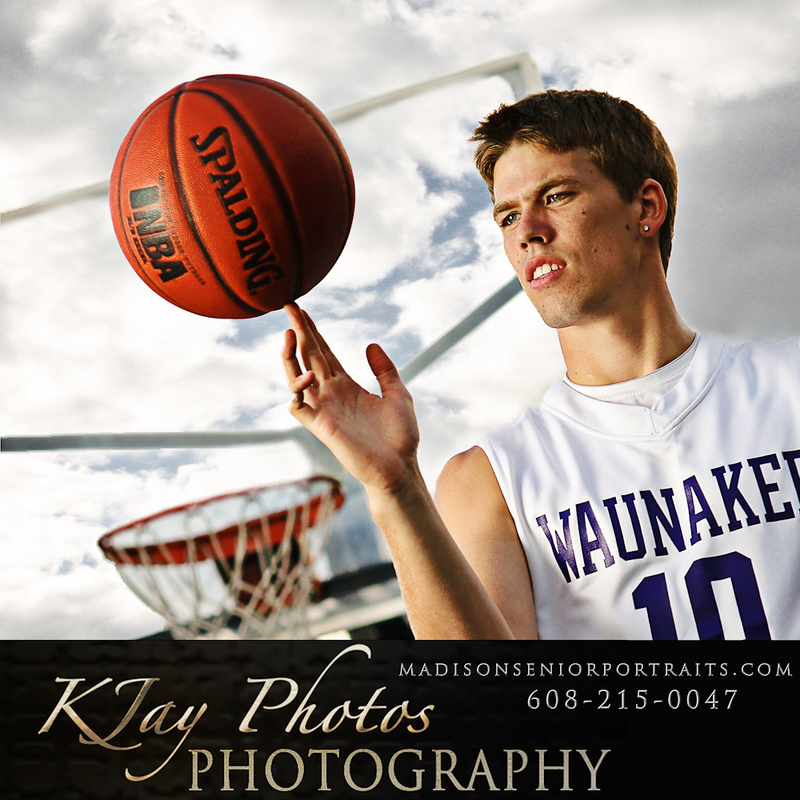 February 20, 2012 | Categories: Basketball Senior PIctures, Photographer in Waunakee, Photography Studio in Waunakee, Sports Pictures Senior Photos, Waunakee Photographer, waunakee photography, Waunakee Portraits, Waunakee Studio | Tags: Basketball Player Senior Pictures, Photography Studio in Waunakee, Senior Pictures with Basketball, Wauankee Sports Photographer, Waunakee Photographer, Waunakee Sports Pictures | Comments Off on He loves the game! Are you graduating from a Greater Madison Area High School in 2013? Do you like to have fun and have your picture taken? Then KJay Photos may have an opportunity for you. 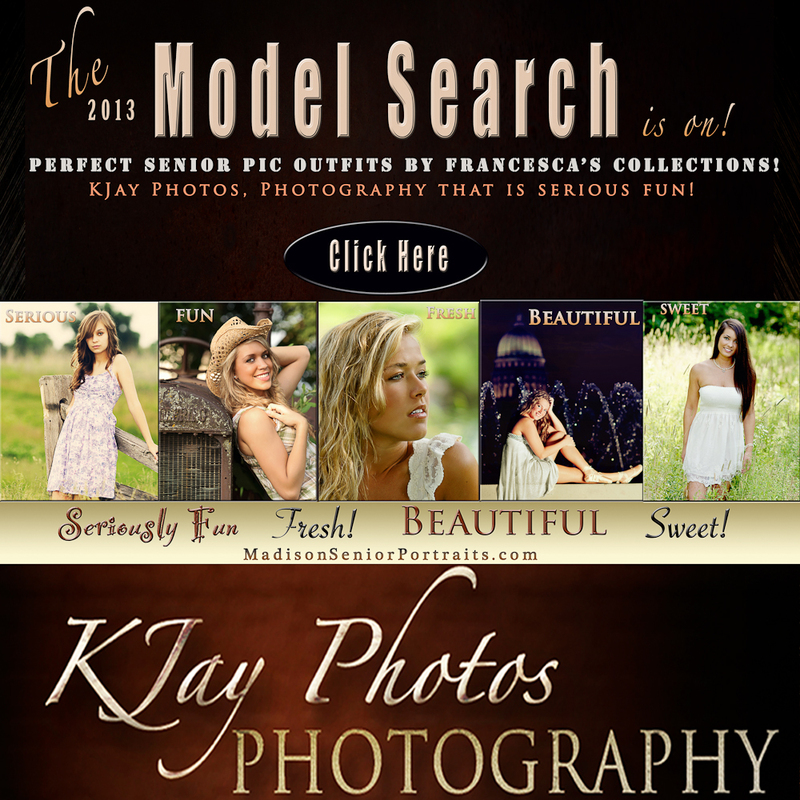 Sign up today and you may be chosen to be a KJay 2013 Super Model Rep.
Free photographs taken this winter to be posted on facebook. Francesca’s Collections can assist you by picking out outfits for your photoshoot. One lucky girl will win her outfit compliments of KJay Photos.